Wes is prepping a French musical with an eclectic cast, as usual. Tilda Swinton has just joined and now Natalie and Brad Pitt are two of the names being linked. You can read about it on The Playlist. If you’re in the UK you can grab tickets for a conversation between Natalie and author, Yuval Noah Harari. The event will be held in Westminster, London, and will be in promotion of his new books, 21 Lessons for the 21st Century. 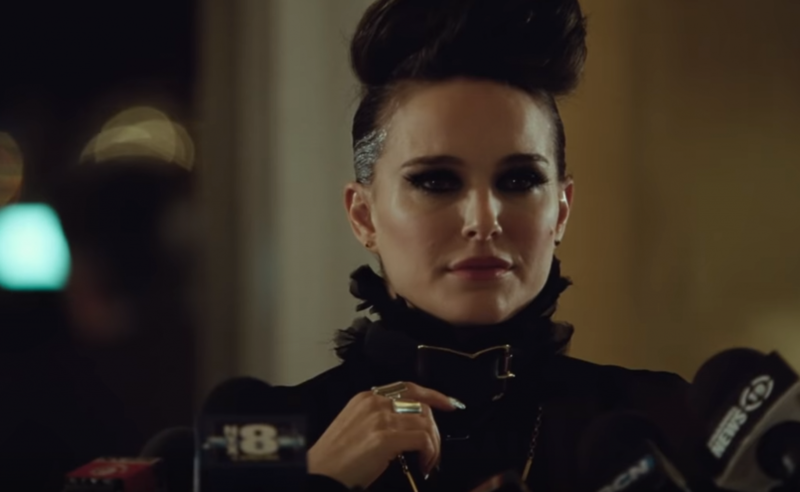 Natalie Portman’s next film, which should start filming any day now, is Pale Blue Dot from director Noah Hawley (Fargo TV series). Well, it seems Pale Blue Dot was a placeholder title for the psychological drama about a returning female astronaut. What will the film actually be called? Your guess is as good as mine but we’re going to keep calling it Pale Blue Dot until a new title emerges. 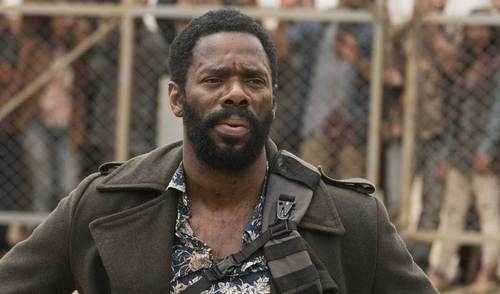 In casting news, it has just been announced that Colman Domingo (Fear the Walking Dead) and Jeremiah Birkett (LA Confidential) join Natalie, Jon Hamm, Zazie Beetz and Dan Stevens. Friday is almost upon us so to ease into the reverie, here are some new Natalie Portman tidbits. – The LA Online Film Critics Society handed out their mid-year awards. 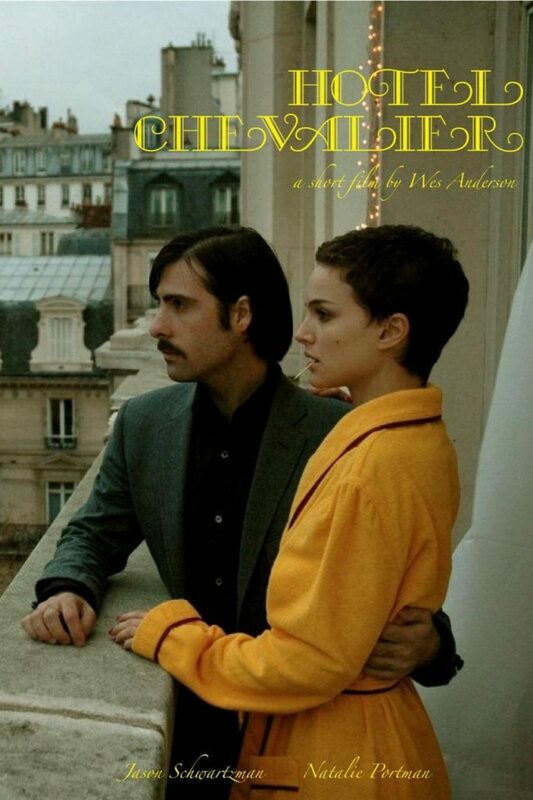 Natalie was nominated for Best Actress and Annihilation also got several other nominations, but in the end the only success was runner-up for Best Adapted Screenplay. – Somewhat related, The Playlist has an early look at next year’s Academy Award potentials for Best Actress and Natalie’s Annihilation is mentioned… as a long-shot. 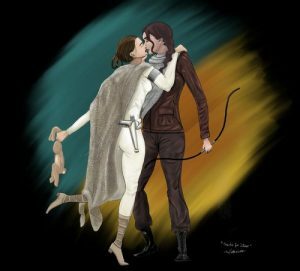 – The Genesis “Jewish Nobel” Prize, which Natalie chose to not accept, was finally given to Ruth Bader Ginsburg who, at one stage, Natalie was set to play in a biopic. It turns out Ginsburg was the original choice for the award, so perhaps fitting that she received it. Belerofonte is away on a much deserved holiday, which means I’ll be back for update duty. It’s going to be tough but together we can get through this! The first bit of news is that Natalie Portman was snapped leaving Kismit restaurant in Los Feliz yesterday. She’s looking fabulous so if you want more, click on the thumb below to go to Daily Mail’s report. I can’t handle even mildly spicy food, so I’m already dreading Natalie’s upcoming appearance on Hot Ones – where she will go up against something called the “Wings of Death”. We’ll find out tomorrow if she survived. Good luck, Nat! Fun fact – running our social feeds I get a lot of messages who think we are Natalie. And let me tell you, I’ve never gotten so many heated messages than from Natalie’s refusal to show up for the Genesis Prize, because Benjamin Netanyahu would be attending. I also received a lot of thankful messages. There wasn’t much middle ground. Well, the latest news is that Natalie will still receive the prize only Genesis will be handling the $2 million worth of donations. This article from Haaretz has quotes quite a lot of criticism. Hopefully this story has almost run its course. We’ve all been wondering – what exactly is Natalie going to be doing at Boston Calling in May? Well, the answer has finally arrived via Boston Magazine. A cool topic and no surprise she chose Diary of a Teenage Girl, as she really wanted to work with director Marielle Heller after the film came out. The festival will run from May 22nd to May 24th. Thanks to our Patreon supporters we now have enough funds every month to pay for a much needed new server. Sneakily, Kris was able to move to the new server already so…welcome! Hopefully everything feels snappy and responsive. Looking at the server stats, the graphs are all trending in the right direction. Thanks again to all of you who are helping to make this possible. Our next Patreon reward is on the way. 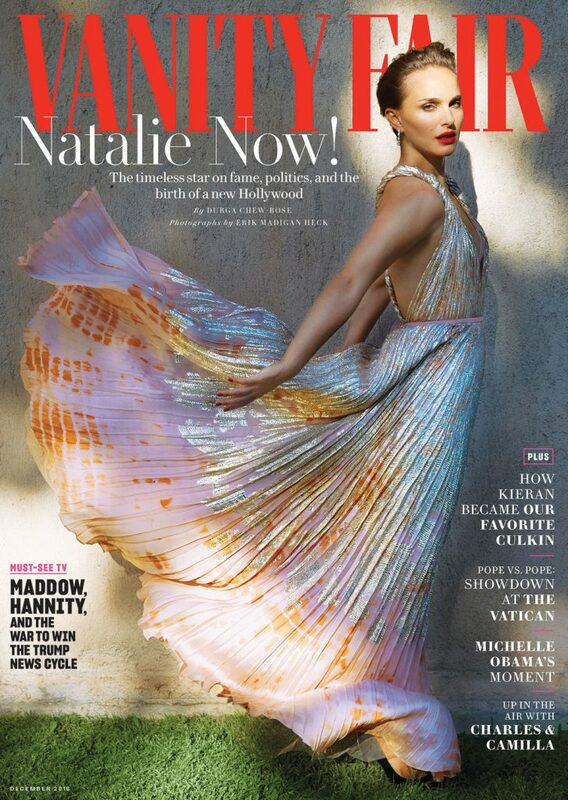 It includes over 160 mb of photos from Natalie’s magazine appearances. Some of my all-time favourites in there, like this beauty. To get this reward and all the rewards to come, just become a patron and help the site get a new server at the same time. Win-win, baby! I just noticed we passed 200,000 likes and followers on our Facebook group! Thanks to all who follow us there – Facebook is making it harder for content from pages to show up in the newsfeed so bookmark the page and check it yourself if you want to catch every update. 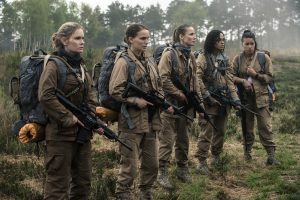 Before I give my brief thoughts on Annihilation, if you’ve seen the film please check out this fascinating and fantastic deep dive into the themes of the film. To start with, I am a big Alex Garland fan. I’ve always loved his writing and his first film Ex Machina was my favourite film of the year it was released. I haven’t read the novel, but I was definitely primed for something special. If you haven’t become a patron yet – now is the time. We’re about 5 monthly donations short of being able to move forward on the new server. And later tonight I will be sending out the first Completionist Reward. These rewards are over 700 photos from shoots in 2007 and 2008 – most of which have never been published. Because they are from the actual photographer’s roll, you get some stunning shots like this. And some funny outtakes like this. If you go here and pledge, I’ll be contacting you shortly to provide a link to the first batch of 48 photos. Want almost 1,000 Natalie pics? Our Patrons over on Patreon just received the first reward – almost 1,000 Natalie Portman magazine photos from the years 1994-2003. If you sign up as a Patron now, I’ll make sure you get the reward. And later this week I’ll send out the first Completionists Reward which will have Natalie photos that haven’t been seen online until now. And later this month another 1,000 photos from our library! We have 5 Patrons so far. Another 5-10 and we’ll be able to move forward on that new server. Even if you can only give one or two bucks every month, every cent counts.